Julie Perrine is an executive assistant turned CEO and the founder of All Things Admin. She is also an enthusiastic trainer, author, Certified Myers-Briggs Type Indicator Administrator, Certified Productivity Pro Consultant, perpetual planner, longtime thimble collector, and adoring aunt. As an advocate of the administrative profession, Julie encourages admins to be prepared, hone their skills, and always keep their minds open to new career opportunities. 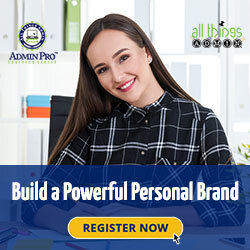 Her mission is to help assistants thrive, build and strengthen their professional relationships, and become assets to their executives and organizations. 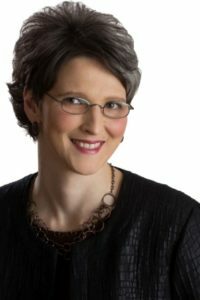 She believes that people in the administrative profession have the ability to go anywhere they want to professionally – from a desk in the C-suite supporting a top executive to becoming an executive and running their own business. 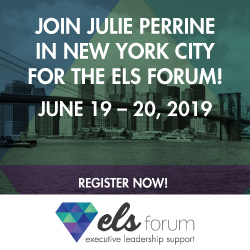 Julie’s upbeat, step-by-step approach to handling the opportunities and challenges admins face includes proactive strategies for developing a plan, creating forward motion, and achieving great results. In 2009, Julie founded All Things Admin to provide accessible, affordable training, resources, and guidance to admins worldwide. Since then, Julie and her company have become integral parts of the administrative training world by inspiring admins to transform their careers, embrace innovation, and realize their potential. She has also authored three books, The Innovative Admin, The Organized Admin, and Become a Procedures Pro. Julie grew up with her three sisters on a farm in Iowa, where she learned to never wear shorts while baling hay and that wildly flailing your arms in a cattle lot is a big mistake. She’s not a big fan of hiking, camping, or scary movies. But she can pack a suitcase or moving boxes like nobody’s business. She loves working and living in Indianapolis. And if she ever retires, she’d like to spend her time traveling with her husband, Todd, taking her nieces and nephews on educational adventures, and learning how to use the manual settings on her DSLR camera. Interested in having Julie speak at your next event or conference? Click here to fill out a speaker request form.